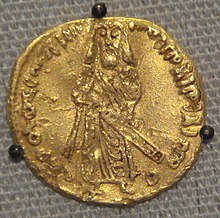 Abd al-Malik ibn Marwan (Arabic: عبد الملك بن مروان‎ ‘Abd al-Malik ibn Marwān, 646 – 8 October 705) wis the 5t Umayyad caliph. ↑ "'Abd al-Malik". Encyclopedia Britannica. I: A-Ak - Bayes (15th ed.). Chicago, IL: Encyclopedia Britannica, Inc. 2010. pp. 14–15. ISBN 978-1-59339-837-8. ↑ Dr. Eli Munif Shahla, "Al-Ayam al-Akhira fi Hayat al-Kulafa", Dar al-Kitab al-Arabi, 1st ed., 1998, pp 236-238. This page wis last eeditit on 19 Juin 2016, at 17:33.